Auckland hip hop dynamo Dbldbl aka Liam Dargaville (Cool Tan) is back with a mind-warping collaboration with enigmatic production guru Trapjaw Kelpie titled 'Bumpy', featuring guest raps from Pīki Tanguru. It's been almost a year since the duo dropped their catchy festive favourite 'Christmas Day At The Breakfast Buffet', the new track sees Dbldbl's rhymes bounce around Trapjaw Kelpie's mazelike sonic spaces, featuring such killer lines as "I'm heavy, when I drop I make it wavy / I’m bout to pop a manu off the jetty." "I'm not sure that there is a process. I wanna make up some wholesome story an say that when we're together everything combines and glues naturally but it's more separated than that. Tim (Trapjaw Kelpie) produces music at such an alarmingly fast rate that I'm more or less a kid set loose in Toyworld (which is now what I wished we were gonna call the album). In saying that I need to choose & write relatively fast because Tim gets bored of his beats just as quickly and has a habit of clearing his computer (to make space for new songs) along with all the original files. I'm not complaining though. Being spoiled for choice is hardly a negative, and luckily Tim doesn't hate what I lay over the top of his production. It also means we've been pretty productive in getting this album on it's way. I'm just trying to keep up. 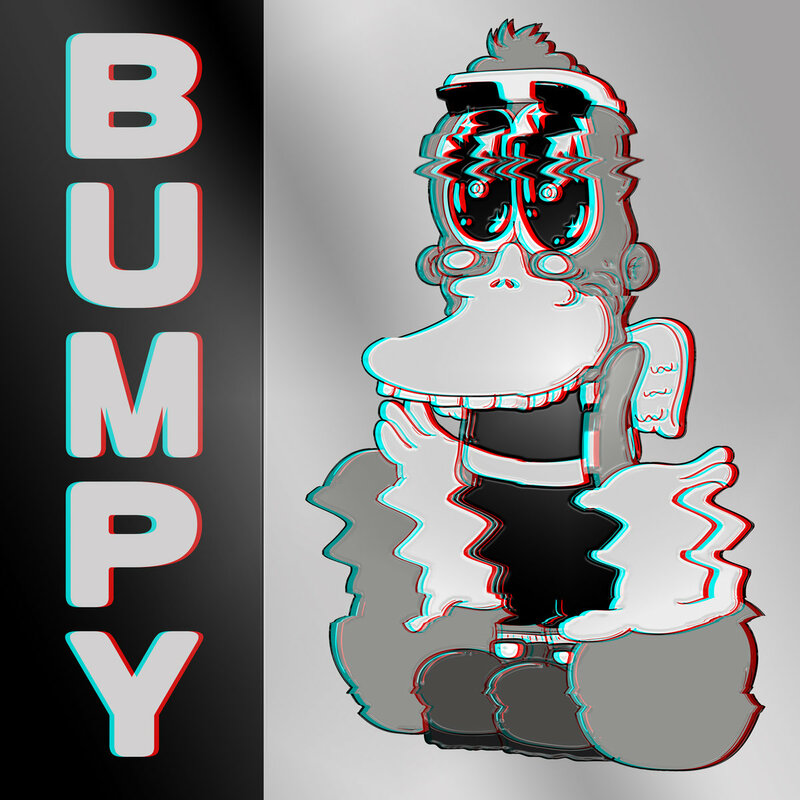 I initially recorded a relatively clean take over 'Bumpy' but it was far too contrasted. Now it's a beautiful mess which is far more fitting to how most of our products end up." For tickets and more info on tonight's Dbldbl x Trapjaw Kelpie fundraiser with Yellowmoon and Bb gurl, head along over HERE.